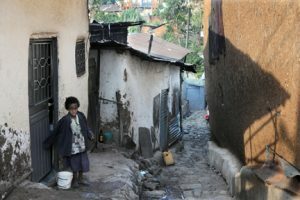 The Rainbow Humanitarian Caretaker Foundation currently provides counseling, food, and clothing to over 200 orphaned and abandoned children in the capital, Addis Ababa. In addition, we have sponsored over 85 children with Children Incorporated. 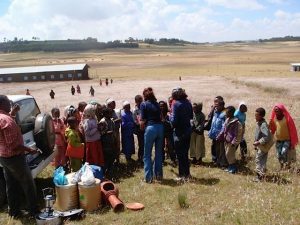 *Lack of funding has severely affected the ability of the organization to provide desperately needed resources that could make a significant impact on these communities. 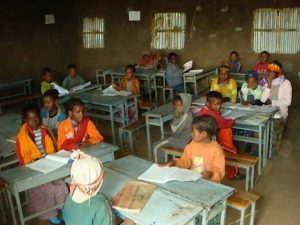 The Ethiopian government has provided us land in Debre Musa, which is two hours outside the capital city of Addis Ababa, to develop and build a school. The school will provide education to students in grades first through eighth, as well adult vocational classes. The facility will include many classrooms, a small clinic, a library, a cafeteria, restrooms, and an art/music room. The school will be used to educate over 200 children in the surrounding area, with attendance increasing on an annual basis. Books and school supplies will be provided to all students, as most families are unable to afford them. A life skills course will also be offered to the adults in the community to introduce guidance on topics such as agriculture, sanitation, hygiene, entrepreneurship, and awareness. In addition to the school, a plot of the land will be used to model efficient and environmentally sound methods of farming. The vegetation that is farmed will be used for nourishment of the families and also to sustain the program. Farm animals such as sheep and cattle will be purchased for milk and cheese as well as for their goods to help with the program. In the near future, we would like a health care clinic on the property. To provide adequate medical treatment of the community is essential in the ability to provide humanitarian relief. Medical professionals from around the globe will donate their time and services if they have proper medical facilities to work in. We will also build a volunteer housing dorm to facilitate all volunteers that come to help with the project. A small village at the base of the mountains in the Oromirya region ~ 130 kilometers northeast of the capital city of Addis Ababa. 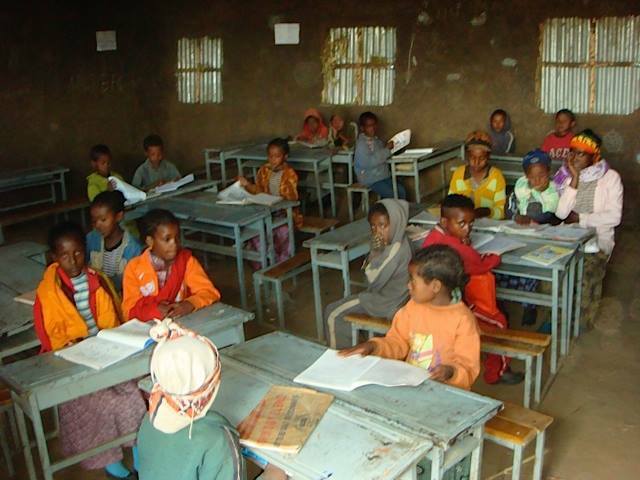 Surrounding area has a population of over 5,000 from the Amhara and Oromo ethnic groups. 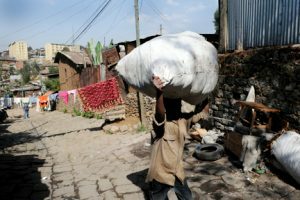 Despite generations of hardships, there have been little improvements in Ethiopian living. 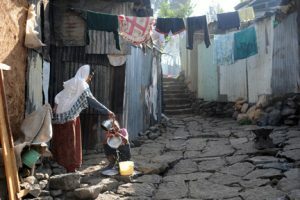 In cities like the capital, Addis Ababa, masses of people live on the streets, barely surviving. 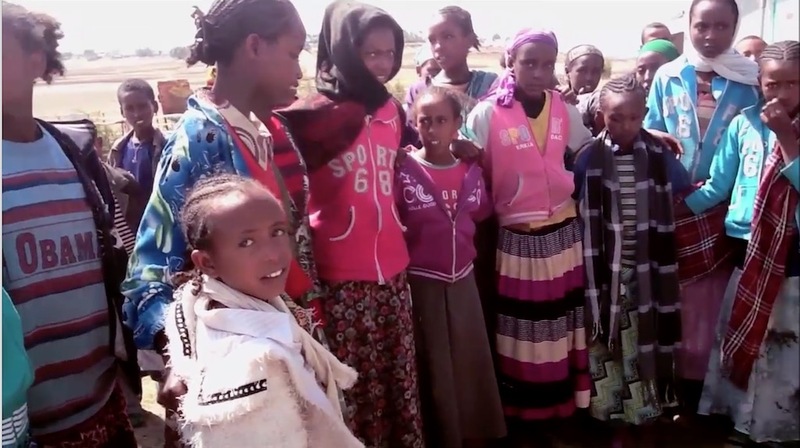 They lack access to such basic necessities as food, clean water, housing, health care, and education. Children forage in fetid garbage heaps, competing with dogs, rats,and vultures for food. 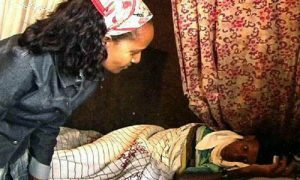 Mothers are unable to generate any income for the survival of their children. 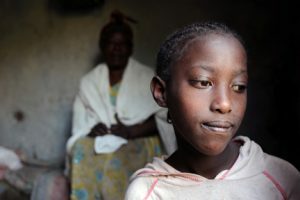 HIV/AIDS continues to spreads as widows are forced into prostitution, because there are no jobs. In the past year the cost of basic food and necessary items has doubled. Jobs are lacking and wages rates are stagnant. The people cannot work or eat. 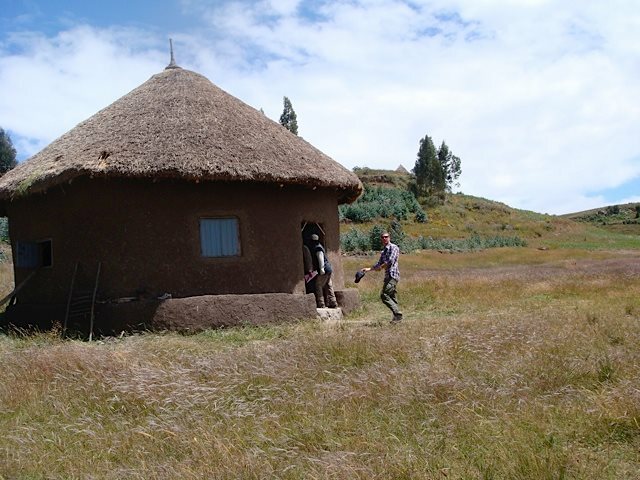 80% of the population resides in the countryside where there are no health services. Thousands are dying from curable diseases. They leave their homes in search of jobs or medical assistance and are forced onto the streets.